Time got away from me this last few weeks and I didn't do a lot of stuff I was planning on, I wanted to have a nice variety of sweets for Thanksgiving, I will end up with pumpkin cookies and if I'm lucky something else. 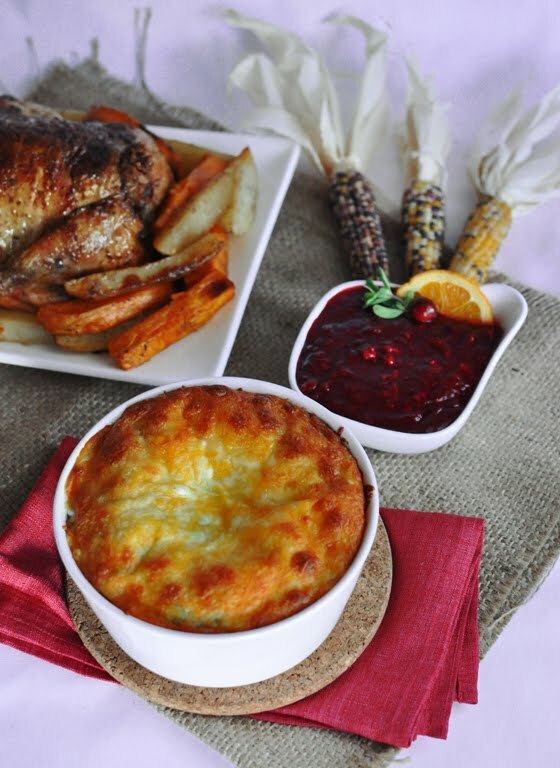 I wanted to blog about a few of my Thanksgiving favorites and this is the first one I got to so far...but it is a must on our Thanksgiving family table. 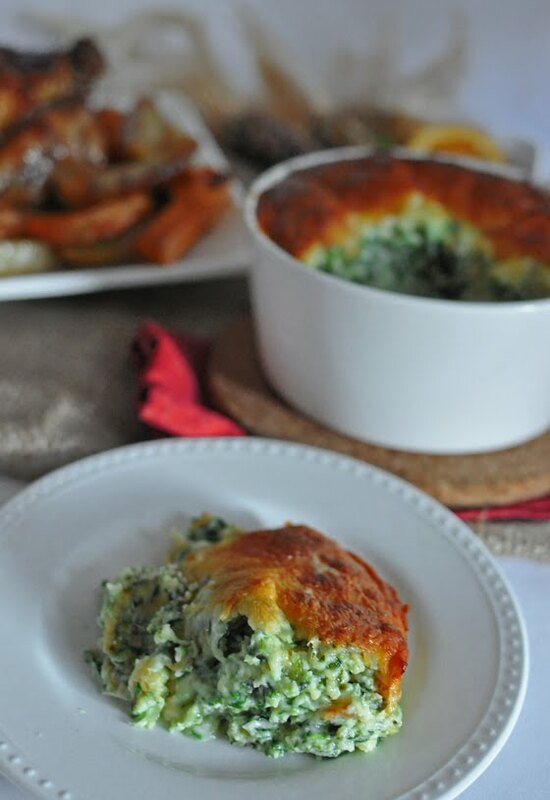 Today I am sharing my spinach and cheese souffle recipe with you. It is a favorite of both my brother-in-law and my husband (besides the stuffing that my mother-in-law makes, the best ever, trust me!) and I still didn't find a person that doesn't like this. My very first Thanksgiving experience was just a few short months after I moved here to the US and the night before hubby and I eloped to Vegas to get married. I didn't know the traditions and I don't think I brought anything to the table except maybe drinks. We always celebrate at my in laws and they make a wonderful turkey with stuffing, baked yams and potatoes, corn and they had cranberry sauce, from the can. Like many many people do. I did NOT like it. I loved the stuffing and turkey and enjoyed my baked potato, but please move that red disaster away from me. And a potato, that is orange? And sweet? You got to be kidding me, right? It took two more years to realize how very very awesome yams and sweet potatoes are. It also took me several years to understand peanut butter and maple syrup. But boy do I get it now. I was better of before. or my behind to be more accurate. Around that time I also accepted that fruit stuff is OK to eat with birds, so I started making my own cranberry sauce, which is also awesome. Anyway. I felt I wanted to contribute to this beautiful feast, so next year I was already working in a school and I was asking for some advice from my colleagues to what could I bring. I had three bosses at that time, Kathy, Jamie and Mary Beth. I knew then, but especially today, how lucky I was then, they were the best bosses you could wish for. 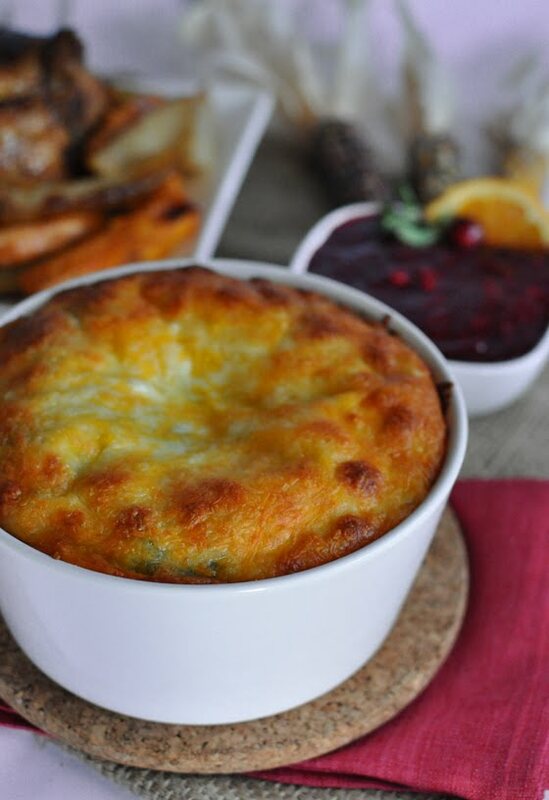 They all gave suggestions, but Mary Beth swore by this spinach and cheese souffle that is full proof to make and everyone loves it. I don't remember where she got it from, but I decided on that. I made it the next years to the letter and after that changed just a few things and I've been making it for the last 8 years, I think there would be a mutiny if I showed up there without it. 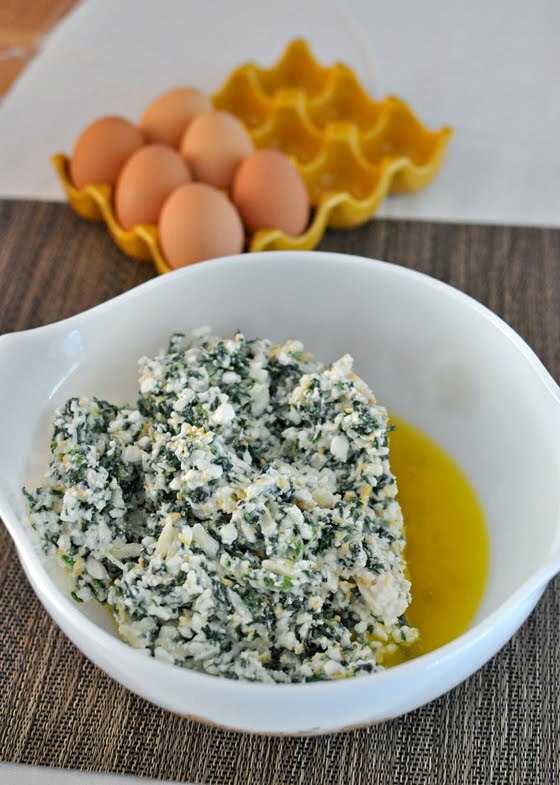 This looks absolutely wonderful and I'll have to make it someday. Right now my FIL isn't allowed dairy so this dish is out for him, but if he goes somewhere overnight to visit you can bet I'll put it on my dinner menu. Thank you so much for sharing. When I attempted to make this it came out super greasy I used cheddar cheese, did I do something wrong? or is it supposed to have that much grease in the end? I am not sure why that happened, it might be the cheddar? 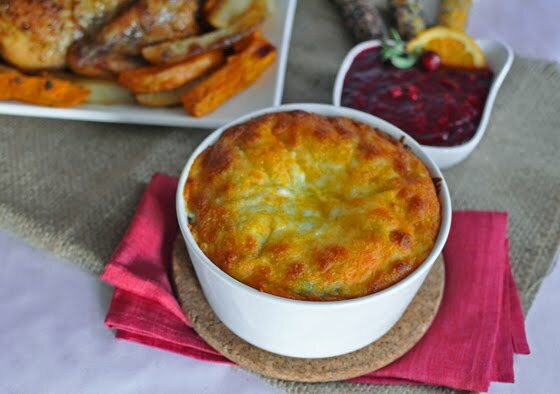 If you look at the bottom picture, the souffle was on the plate at least 5 minutes when it was taken and there is no grease coming on the bottom of plate. 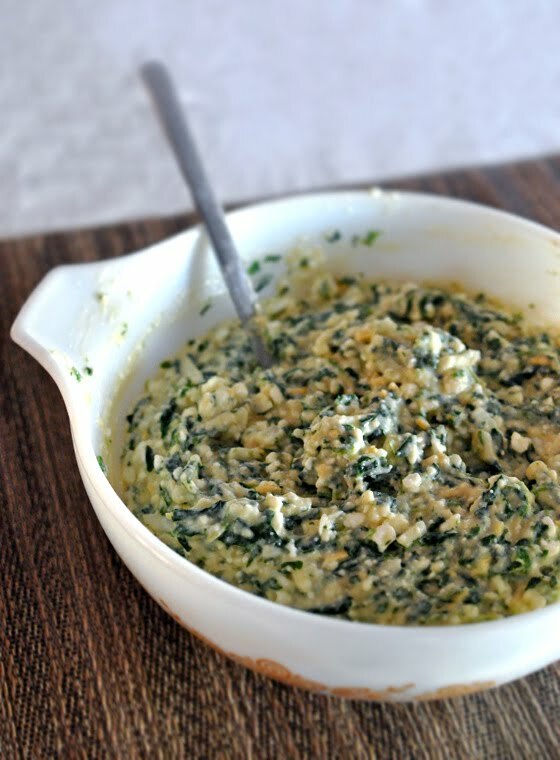 I never thought it was greasy or anyone I made it for so I would definitely try with a lighter cheese! You can certainly try using couple of Tbsp of butter less too if you still think it's too greasy then! Thank you, I was afraid it might be the cheddar. I love all your other entries and recipes so far though. And your storytelling along with it.